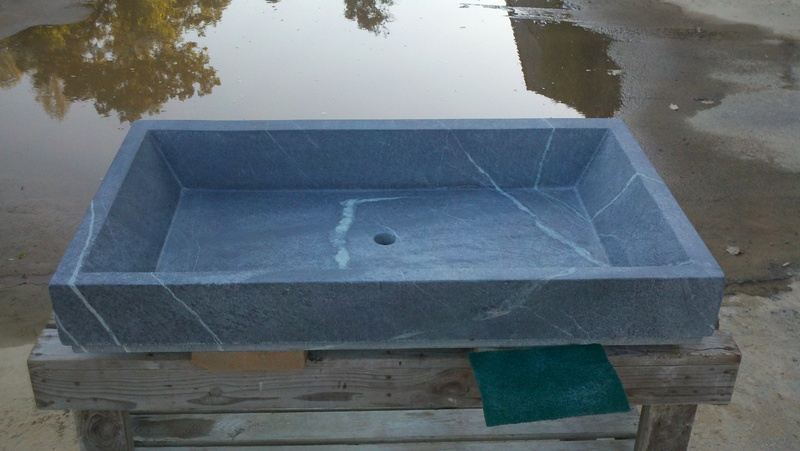 This Shaker style sink is hand carved from a single block of Church Hill Soapstone. It can be drilled for a vanity or kitchen drain. 25″x 42″x5 5/8″ $1200 plus shipping.